I am enjoying currently taking part in the lectures for Athens Bible School in Athens, AL. My assignment is “Shadows From An Ancient Priesthood”, showing how in many ways the OT priests foreshadow NT priests, i.e., Christians. As Peter said, “you also, as living stones, are being built up a spiritual house, a holy priesthood, to offer up spiritual sacrifices acceptable to God through Jesus Christ” (1 Pet. 2:5). This study reminded me of a tabernacle model situated south of Jericho in 2005. 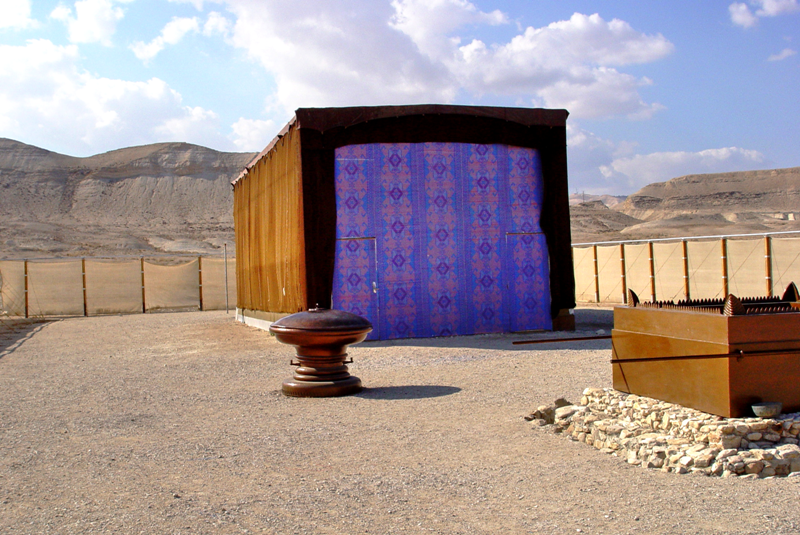 Tabernacle Model in Wilderness S. of Jericho. Photo ©Leon Mauldin. In the photo you can see the courtyard, altar for burnt offerings, the laver in which the priests would wash, and the tabernacle itself. Behind the veil was the ark of the covenant. Only the High Priest could enter here, and only on the annual day of atonement. 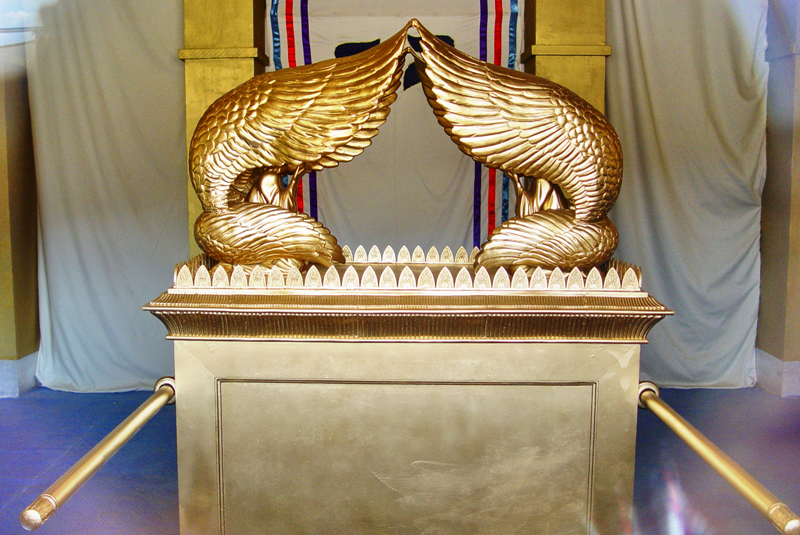 Ark of Covenant in Most Holy Place. Model. Photo ©Leon Mauldin. Exodus 25:20 states: “And the cherubim shall stretch out their wings above, covering the mercy seat with their wings, and they shall face one another; the faces of the cherubim shall be toward the mercy seat. I hope you find these photos useful in your own teaching. Click on image for larger view. This entry was posted on Thursday, November 4th, 2010 at 6:11 PM and is filed under Bible History and Geography, Bible Study, Israel. You can follow any responses to this entry through the RSS 2.0 feed. You can leave a response, or trackback from your own site.